There was a chapel at Fiskerton, dedicated to St Mary, probably founded soon after the manor was granted to Thurgarton Priory by Ralph D’Ayncourt around the middle of the 12th century. There was also a grange. It was probably served by canons from Thurgarton, perhaps until the dissolution of the Priory in 1538. There are no visible remains of the church today and its exact location is not known, but under investigation. Thanks to Dr Christopher Brooke for this information. No picture of this church is known. 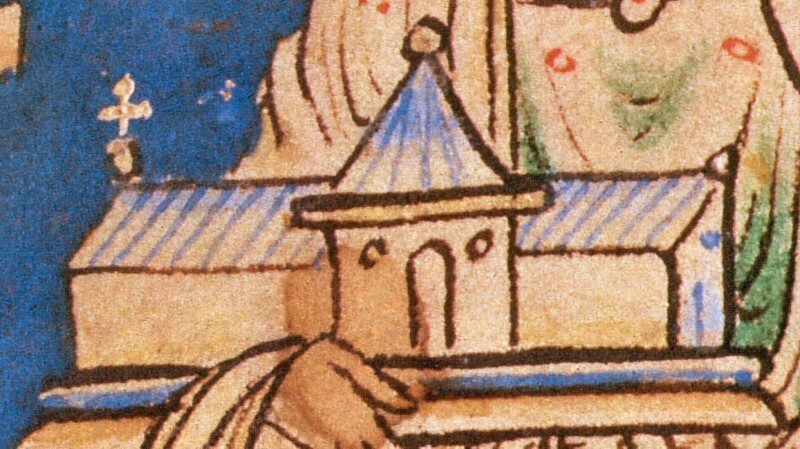 The image on this page is a manuscript representation of a church taken from a depiction of Henry II held in the British Library, London.